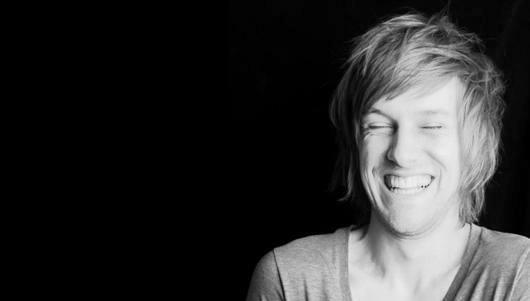 Review: Chris Ramsey: Aggrophobic – Pleasance Hut, Edinburgh. Chris Ramsey’s debut debut solo show at the Edinburgh Fringe, ‘Aggrophobic’, is an affable, entertaining performance from the Northern comedian. Centred on Ramsey’s, at times irrational, fear of public confrontation, his show features a series of anecdotes that range from his fear of what he describes as ‘social heckling’ to the time he spent living in his hometown of South Shields. It’s clear that the comic both trusts and enjoys regaling his material, and this child-like enthusiasm for ‘Aggrophobic’ reflected the audience’s own reaction and dedication to the hour-long show. There’s nothing new or original in Ramsey’s set in terms of content – Jeremy Kyle, embarrassing mams and childish scuffles are the staple of your average comedian’s show – however a good comic carves the mundane into good material and Ramsey does that very well in ‘Aggrophobic’. The engaging comic also seemed at ease when five people left at once to use the toilet – a situation that would normally disrupt the flow of a comic’s show – but Ramsey handled the distraction well. Having seen a preview of Ramsey’s show in Darlington a few months prior to his Edinburgh run it’s nice to see the comic has worked hard to tighten up his set. His more regional routines have been replaced with funnier supporting material for his more absurd anecdotes – the use of the PowerPoint of images for his wedding suit story is a perfect example of this – and it really helps the thematic flow of his show. With an impressive array of call-backs – the last of which got the biggest pay-off of the night – weaved into his well told self-humiliating stories, ‘Aggrophobic’ is a well produced debut from the likeable Chris Ramsey. Hopefully Ramsey can use this entertaining performance in Edinburgh and the experience of supporting Al Murray on his UK tour as a platform to produce an even better show at next year’s Fringe. Date of live show: Thursday 26th August.